OUR FIRST CELEBRITY POP-UP -- A VISIT FROM ZEN CHIC! Sometimes the stars and planets align perfectly, resulting in amazing good fortune! 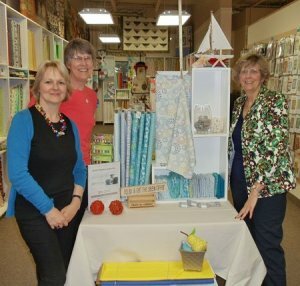 And so it happened that we found ourselves in the lucky position of hosting Brigitte Heitland, Moda fabric and pattern designer for Zen Chic, in an almost-spontaneous trunk show. 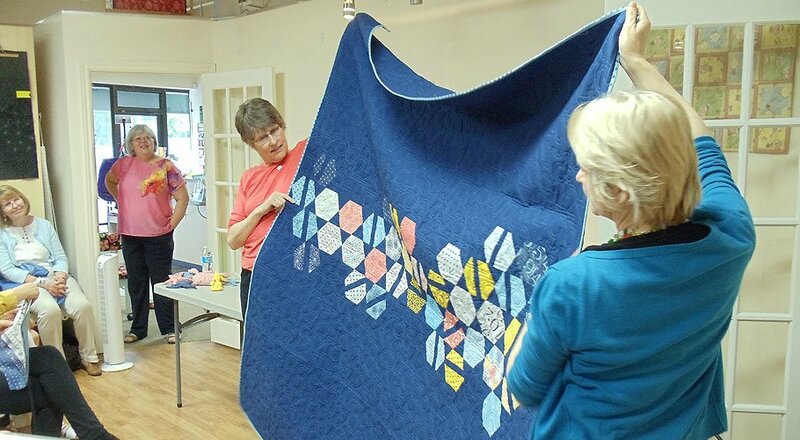 Zen Chic's designs are clean and modern, with a European sensibility, and they represent perfectly all the ideals of the modern quilting movement. 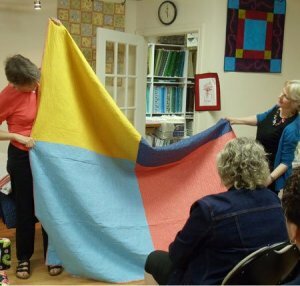 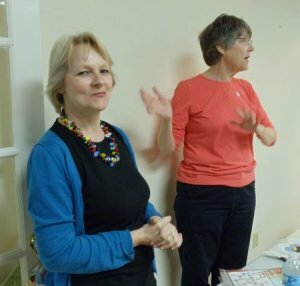 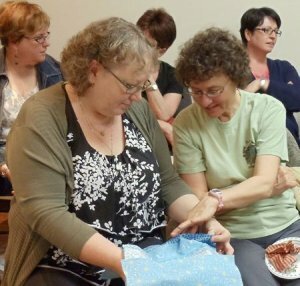 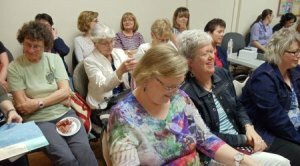 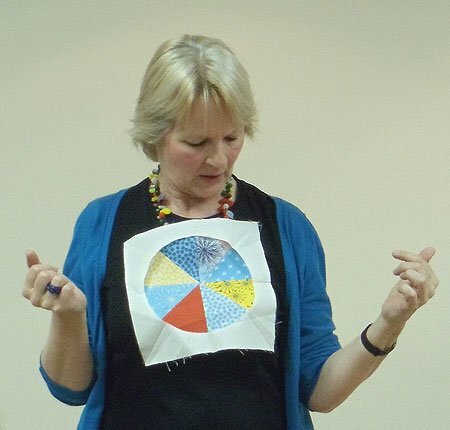 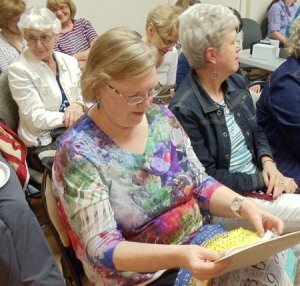 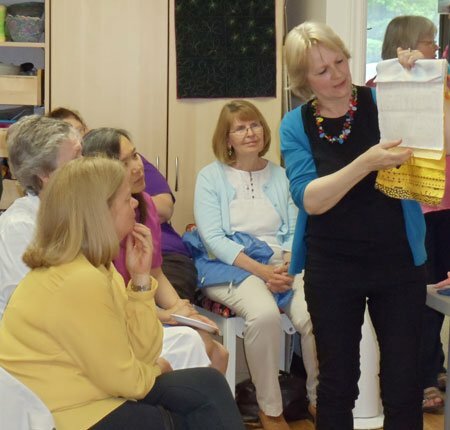 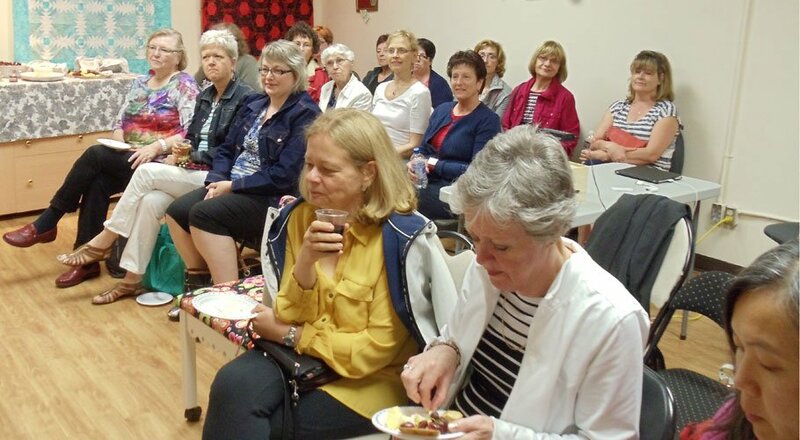 Brigitte, who lives in a small town in northern Germany, regaled us with her life story and the string of events that led her from college drop-out to international sensation at 2011's Spring Quilt Market. 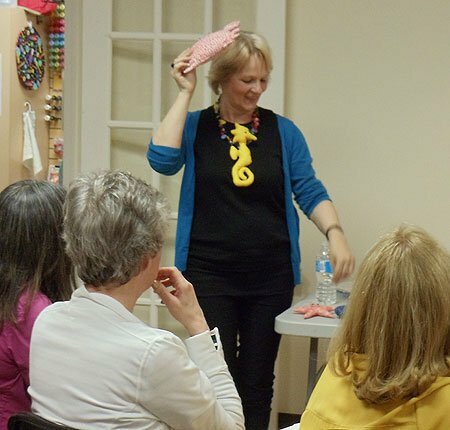 She also explained the artistic and business processes involved in producing both her fabric and pattern lines, and was very open with sharing her experiences at every step along the way. 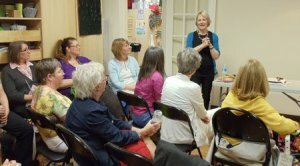 Brigitte offered a warm, funny, and thoroughly engaging presentation, and it was gratifying to know that, even though the event was planned on very short notice, it went off without a hitch and was well attended by an appreciative and enthusiastic audience.